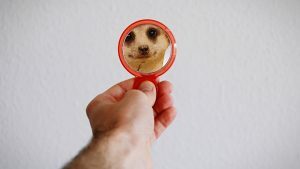 Working with People Who Aren’t Self-Aware - Turning Point Resolutions Inc.
Posted on April 15, 2019 by Turning Point Resolutions Inc. Article originally posted at https://hbr.org/2018/10/working-with-people-who-arent-self-aware and written by Tasha Eurich. Even though self-awareness — knowing who we are and how we’re seen — is important for job performance, career success, and leadership effectiveness, it’s in remarkably short supply in today’s workplace. In our nearly five-year research program on the subject, we’ve discovered that although 95% of people think they’re self-aware, only 10 to 15% actually are. At the office, we don’t have to look far to find unaware colleagues — people who, despite past successes, solid qualifications, or irrefutable intelligence, display a complete lack of insight into how they are coming across. In a survey we conducted with 467 working adults in the U.S. across several industries, 99% reported working with at least one such person, and nearly half worked with at least four. Peers were the most frequent offenders (with 73% of respondents reporting at least one unaware peer), followed by direct reports (33%), bosses (32%), and clients (16%). Un-self-aware colleagues aren’t just frustrating; they can cut a team’s chances of success in half. According to our research, other consequences of working with unaware colleagues include increased stress, decreased motivation, and a greater likelihood of leaving one’s job. So how do we deal with these situations? Is it possible to help the unaware see themselves more clearly? And if we can’t, what can we do to minimize their damage on our success and happiness? When we’re having trouble working with someone, the problem isn’t always a lack of self-awareness on their part. Interpersonal conflict can arise from different priorities, incompatible communication styles, or a lack of trust. They won’t listen to, or accept, critical feedback. They cannot empathize with, or take the perspective of, others. They have difficulty “reading a room” and tailoring their message to their audience. They possess an inflated opinion of their contributions and performance. They are hurtful to others without realizing it. They take credit for successes and blame others for failures. Where is this person coming from? In contrast to the unaware, certain difficult colleagues—like office jerks—know exactly what they’re doing, but aren’t willing to change. I once knew a chief operating officer with a reputation for humiliating his team whenever they disappointed him. When finally confronted about his behavior, his response was, “The best management tool is fear. If they fear you, they will get the work done.” (Unsurprisingly, his superiors did not share his views and fired him several months later). The biggest difference between the unaware and the Aware-Don’t-Care are their intentions: the unaware genuinely want to be collaborative and effective, but don’t know they’re falling short. Whereas the Aware-Don’t-Care unapologetically acknowledge their behavior (“Of course I’m pushy with clients. It’s the only way to make the sale!”), the unaware can’t see how they’re showing up (“That client meeting went well!”). Once you’ve determined someone suffers from a lack of self-awareness, it’s time to honestly assess whether they can be helped. Think about their intentions and whether they’d want to change. Have you seen them ask for a different perspective or welcome critical feedback? This suggests that it’s possible to help them become more self-aware. Am I the right messenger? The number one reason our survey respondents gave for not helping an unaware person was that they didn’t think they were the right messenger. It’s true that when helping the unaware, providing good, constructive feedback only gets us part of the way. For someone to truly be open to critical feedback, they must trust us — they must fundamentally believe that we have their best interests at heart. When trust is present, the other person will feel more comfortable being vulnerable, a prerequisite to accept one’s unaware behavior. So think about the relationship you have with your unaware colleague: have you gone out of your way to help or support them in the past? And are you confident they will see your feedback for what it is—a show of support to help them get better—rather than inferring a more nefarious motive? Or, are there others who might be better suited to deliver the feedback than you? Am I willing to accept the worst-case scenario? The second most common reason people decide not to help the unaware is that the risk is simply too high. As one of our study participants noted, “I may not be able to help and trying [might] just make them angry.” The consequences of help-gone-awry can range from uncomfortable (tears, the silent treatment, yelling) to career limiting (an employee might quit; a colleague may try to sabotage us; a boss could fire us). Here, power differentials are a factor. For example, though unaware bosses have an especially detrimental impact on their employees’ job satisfaction, performance, and well-being, confronting one’s boss is inherently riskier because of the positional power she holds. Conversely, the risk is usually lower with peers, and lower still with direct reports (in fact, if you have an unaware employee, it is literally your job to help them). But regardless of their place on the organizational chart, we must be ready to accept the worst-case scenario should it occur. If you believe you can help, then what’s the best way to do so? There are certainly many helpful resources on providing high-quality feedback, and most apply with the unaware. There are, however, three practices worth underscoring for these individuals. First, talk to them in person (our research suggests those who provide feedback via email are 33% less successful). Second, instead of bringing up their behavior out of the blue, practice strategic patience. If possible, wait until your colleague expresses feelings of frustration or dissatisfaction that (unbeknownst to them) are being caused by their unawareness. Ask if you can offer an observation in the spirit of their success and wellbeing (using the word “feedback” risks defensiveness). Third, if they agree, focus on their specific, observable behavior and how it’s limiting their success. End the conversation by reaffirming your support and asking how you can help. It’s easy to feel hopeless when you can’t help someone who is unaware. The good news is that although we can’t force insight on them, we can minimize their impact on us. Mindfully reframe their behavior: The popular workplace practice of mindfulness can be an effective tool for dealing with the unaware. Specifically, noticing what we’re feeling in a given moment allows us to reframe the situation and be more resilient. Here is one tool to notice but not get drawn in to our negative reactions to the unaware. I first came up with the “laugh track” when I had the misfortune of work­ing for an Aware-Don’t-Care boss. One day, after a particularly unpleas­ant encounter, I recalled my favorite TV show growing up, The Mary Tyler Moore Show. Mary’s boss was a surly man named Lou Grant. On a good day, Lou was grumpy; on a bad day, he was downright abusive. But because his comments were followed by a canned laugh track, they became surprisingly endearing. I de­cided that the next time my boss said something horrible, I’d imagine a laugh track behind it instead. I was frequently surprised at how much less hurtful (and occasionally hilarious) this tool rendered him. Find their humanity: As easy as it can be to forget, even the most unaware among us are still human. If we remember this, instead of flying off the handle when they’re behaving badly, we can recognize that, at the core, their unaware behavior is a sign that they are struggling. We can adopt the mindset of compassion without judgment. In our research, we’ve studied people who made dramatic, transformational improvements in their self-awareness. Though it takes courage, commitment, and humility, it is indeed possible—and whether or not the people around us choose to improve their self-awareness, we have complete control over the choice to improve ours (find a quick, high-level assessment of your self-awareness here). At the end of the day, perhaps that’s where our energy is best spent.